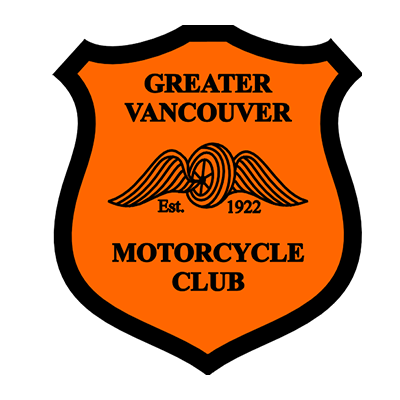 Energy and longevity are the hallmarks of the Greater Vancouver Motorcycle Club, whose motto is “For the betterment of motorcycling.” The GVMC has been an integral part of the motorcycle community since 1922, when it was launched as the Lions Gate Motorcycle Club with Fred Deeley as one of the founding members. Meetings were held upstairs from the Deeley car and motorcycle dealership. Three generations of the Deeley family have been members of the GVMC over the years. 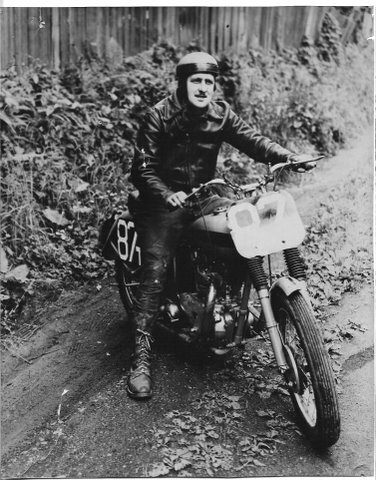 In 1931 the Lions Gate club merged with the Big Four Motorcycle Club to form the Greater Vancouver Motorcycle Club. Today the club has its own headquarters building in Surrey, where meetings are held the second, third and fourth Tuesday of every month. 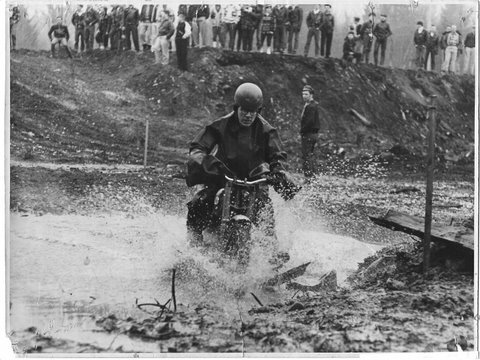 After 88 years the club is busy as ever, boasting a calendar packed with rides both on- and off-road, enduros, tours, parties, dinners, charity events and shows. 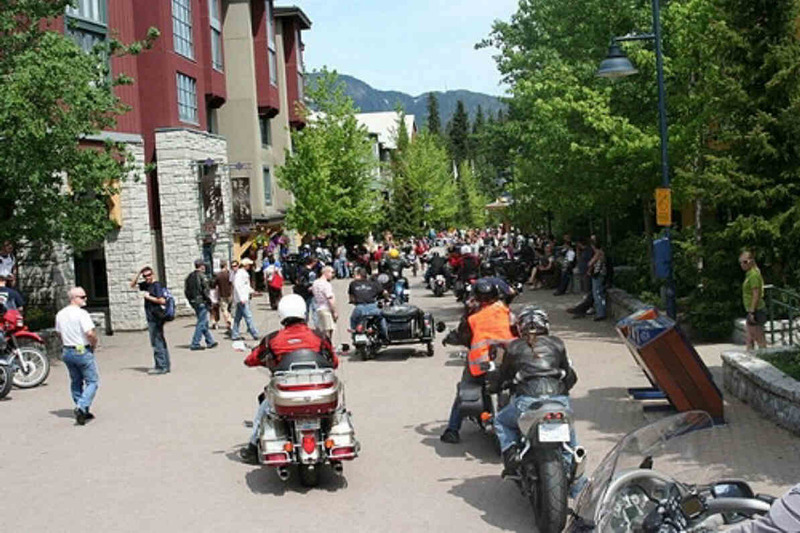 Some of its signature events have been running 50, 60, even 80 years and continue to entertain and challenge club members and guests in activities all over the B.C. Lower Mainland. Fundraisers have been held since at least the 1950s for the benefit of many charities over the years, and since 1993 the Gord Heppler Memorial Run has raised more than $107,000 for the Children’s Hospital. GVMC’s longest-running event is the Caribou Trails Run, which in 1930 was first called the 300-Miler and has been held for the last 80 years. 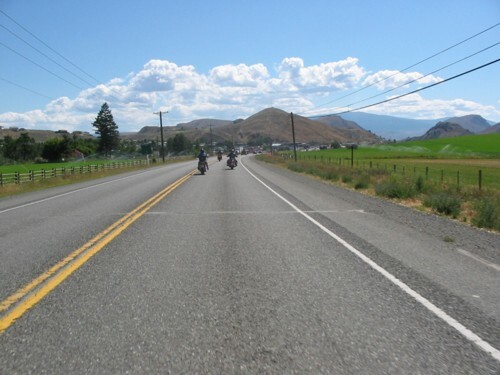 It’s a contender for the title of longest continuously running motorcycle event in Canada. 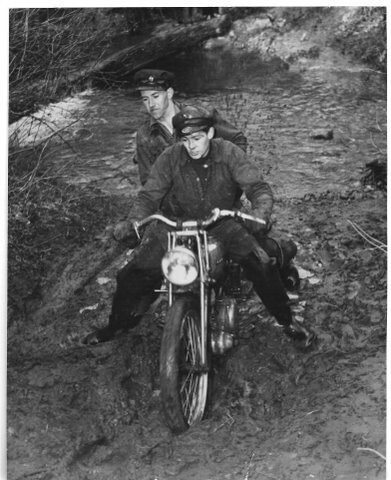 Another classic is the Piston Run for dual-sport and off-road bikes, with a trophy made from a piston donated by club member Trev Deeley in 1948. 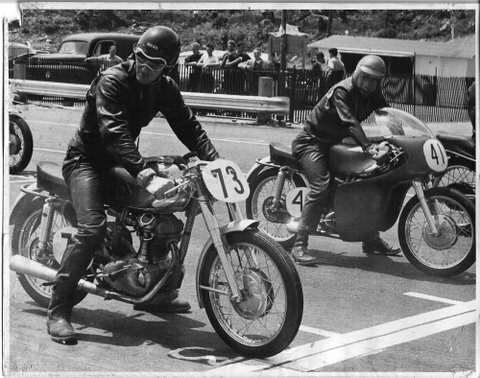 He and club president “Wild Willie” Telford were racing on the beach at Daytona, Willie on an Indian and Trev on a Harley, when Deeley’s WR blew a piston – the same one which now adorns a trophy that dates back 61 years. In fact, the Piston Run itself started some years before that and still goes on today. Community service has been an important aspect of club life since the beginning. In 1939 club members helped provide traffic control for the visit of King George VI and Queen Elizabeth when they officially opened the King George Highway and the Patullo Bridge. GVMC also acted as marshals for the Pacific National Exhibition parade for almost 30 years until its cancellation. The club’s role included having a motorcycle drill team in the parade. 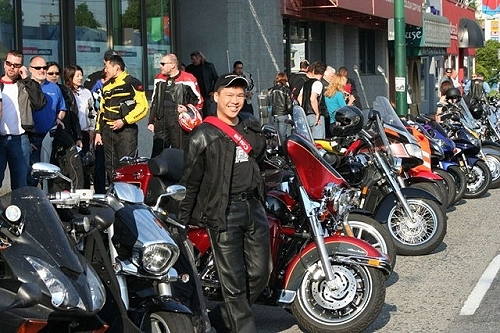 Nowadays the club helps with other parades and festivals as well as bicycle races in Delta and White Rock. 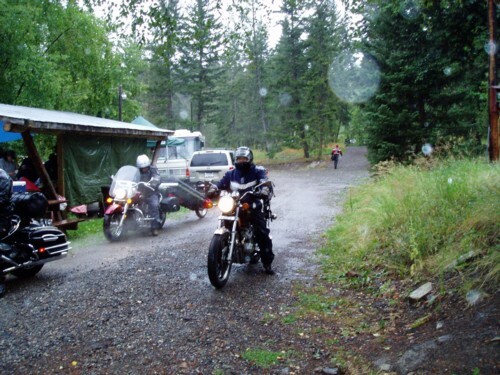 Members’ activities cover trials and dual-sport riding as well as touring and sport bikes, providing motorcycling activity for a wide variety of age and interest groups. The GVMC has worked with the B.C. 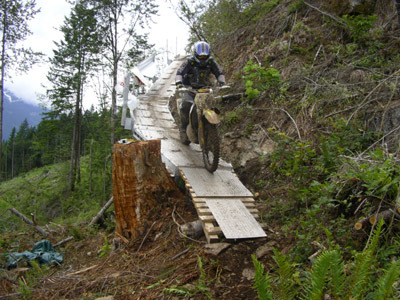 Off-Road Motorcycle Association and government bodies to obtain stewardship of the Chipmunk Creek Riding Area, two hours’ ride east of Vancouver, mapping trails via GPS and registering them on forestry maps. Nearly half of its members have been involved for 10 years or more, and a few in excess of 50 years. The GVMC also has ties south of the border, having been one of the earliest charter clubs in the AMA until membership was restricted to U.S. clubs only. The clubhouse in Surrey is decorated with AMA safety award banners from 1944 to 1965. It also has a sister club in Oakland, Calif., with which it shares common goals and history, and each year the two clubs meet for a half-way run. 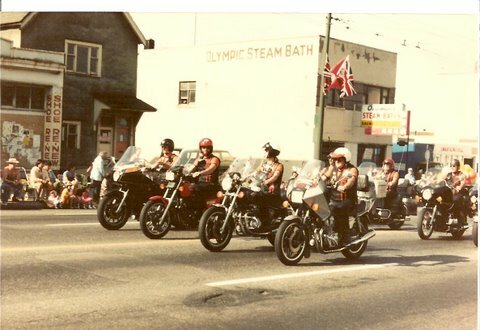 With its long history combined with a busy present and a forward-looking attitude, the Greater Vancouver Motorcycle Club is well placed to celebrate its first century in the not-too-distant future.